The Royal Air Force has commenced test flights of the military branch’s Sentry E-3D aircraft following completion of repairs to the system’s electrical wiring, Defense News reported Monday. Andrew Chuter writes the airborne warning-and-control system aircraft could return to service in January if the unit performs well during the tests. “This work continues and a return to the normal level of aircraft availability is forecast early in 2017,” the Royal Air Force said. 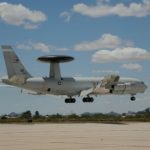 The U.K’s E-3D fleet ceased operations in October after the service branch discovered electrical wiring and cabin conditioning problems, according to the report. RAF led the remedial team that includes Northrop Grumman, which secured a nine-year contract extension to support the aircraft, Chuter reports.